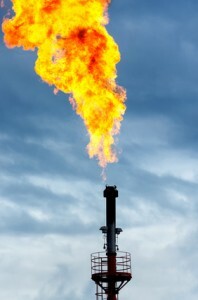 A nationwide study published this week shows that methane emissions across the United States have dropped significantly in the past two decades and are much lower than current Environmental Protection Agency estimates. Researchers from Washington State University assert that the EPA is using old data from 1992 that grossly overestimates current emission rates by 36 percent to 70 percent. These findings come on the heels of the Obama administration’s announcement in January that it plans to regulate methane emissions from the nation’s oil and natural-gas industry. There is a worldwide push to reduce greenhouse-gas emissions due to fear if climate change. Reaction to the study by the Environmental Defense Fund was that there is still too much methane gas escaping local distribution systems despite the improvements, with the losses comparable to the carbon dioxide from as many as 19 coal-fired power plants and valued at up to $195 million.“While they remain a serious problem, the ongoing utility emissions also represent an important opportunity for companies and regulators to make a big dent in greenhouse pollution,” said Jonathan Peress, the EDF’s air policy director for natural gas. Methane is being targeted because it is believed to be 28 to 34 times more powerful than carbon dioxide at warming the atmosphere over a 100-year period. These EPA’s proposed regulations will require reducing emissions by 40-45% over the next decade. Proposed legislation would force companies to install technology to prevent methane leaks and to monitor their operations for possible leaks, but many companies are already using this kind of equipment. In fact, the Washington State study credits advancements in equipment, better maintenance and government regulations for pushing down emissions.